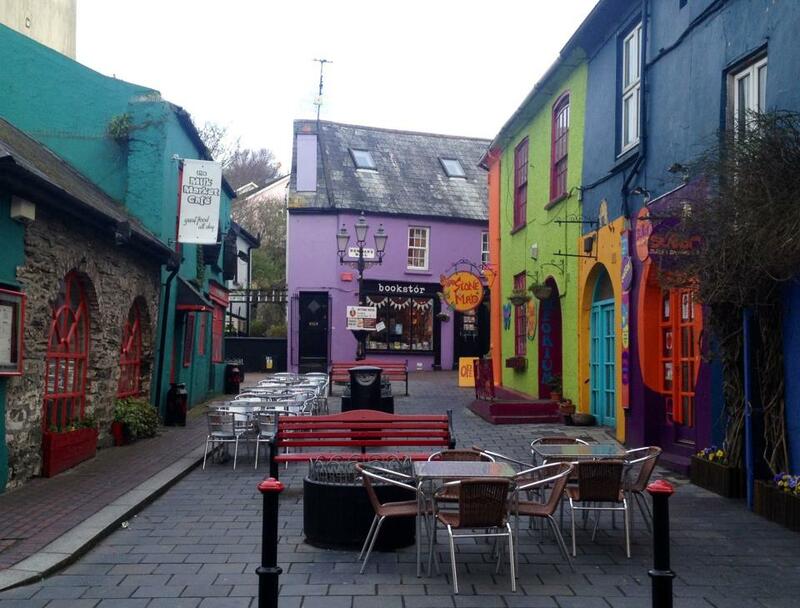 1 First up Dermot Ryan’s walking tour of Kinsale is a must, tailor made, instantly, to suit the interests and nationalities of the various individuals who show up on the day. Warm, witty and informative, it’s the best €5 you will spend in Kinsale, tour departs daily at 10.30 from the Tourist Office on the quay and takes about an hour. 2 In these days of online everything is there anything better when on holidays than browsing a real bookshop rather than a virtual one and having a book talk to you or fall into your hands as well as a chat with the owner of the Kinsale Book Shop who’ll advise you on the latest arrivals re Irish interest or just a downright, good old-fashioned read, as well as the state of the industry! 3 Followed by coffee and the best lemon meringue pie in Ireland at the Lemon Leaf or a real hot chocolate in Jo’s. I must say I like this kind of niche marketing, it certainly adds to the relaxation element of a pleasant saturday morning shop when my stomach nods in agreement without even having to bother my mind. 4 The Boathouse Gallery with an electic selection of sea inspired images, I particularly liked but couldn’t afford, as usual, the Dee Pieters landscapes of West Cork with their mirror like water elements and bottomless lakes. With a warm Cork welcome from the owner, who knows well you are only browsing and unlikely to buy, well not this time perhaps, but maybe next time? 5 And then there are the stalwarts like Jim Edwards, the Blue Haven and the Spaniard out the road, that have been there forever. There’s a great line up of music most nights throughout the summer, good food and perfect pints all day and plenty of atmosphere all with walking distance of each other. 6 And no shortage of restaurants obviously in the Gourmet Capital of Ireland, cheap and cheerful Crackpots and Brunos to more expensive Finns Table and Fishy Fishy with the Black Pig doing tapas but my absolute favourite is up next? 7 Bulman Pub, Summercove, never was a place more aptly named, location? tick! sunset, if you are lucky? tick! atmosphere? most definitely! great pints, cold beer or glass of wine? for sure! And the best oysters, lobster and seafood you will eat anywhere in Ireland. 8 Charles Fort, after the defeat of the Irish in 1601 the English built this French style star shaped fort at the mouth of the harbour and installed a garrison of over 1000 troops which remained in Kinsale for over 400 years until we got our independence in1922. You can visit by car or on foot, a nice walk out via Scilly, take a Harbour Cruise or Hire a Boat during the summer. 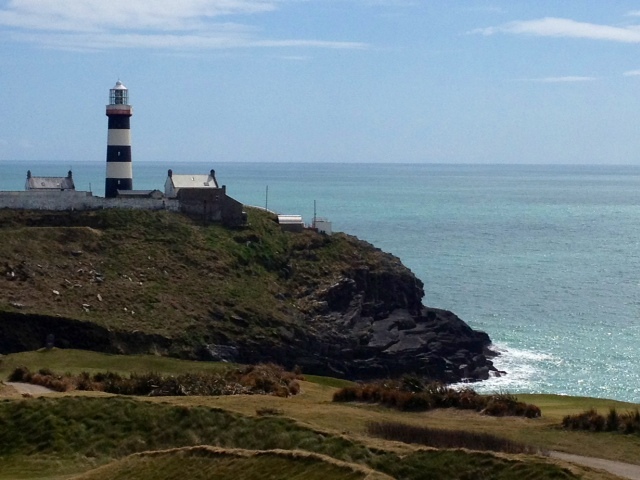 9 Old Head, Kinsale, known as the 'Edge of the World’ at the time, it still looks like that, a rugged peninsula, jutting out 3 miles out into the Atlantic with its famous lighthouse and Celtic marriage stone. It now belongs to private consortium who have developed a world class links and exclusive golf club which is on every golfers bucket list of courses to play before they die. 10 Perryville House, Kinsale very comfortable and elegant guesthouse, right on the harbour, just a couple of paces into town and all shops, bars, restaurants and nightlife above. An excellent choice for couples and hopeless romantics, Kevin & Laura are lovely hosts who are more than happy to advise on itineraries and or restaurant recommendations.